Call it the Proust effect: Memories are often triggered by smells. Scientific studies confirm that out of all the senses, smell offers the best recall. In Scent Memories, the Cut asks people about the scents they associate with different times in their lives. Next up is Jared Leto, Academy Award–winning actor, musician, and the face of Gucci Guilty Pour Homme. 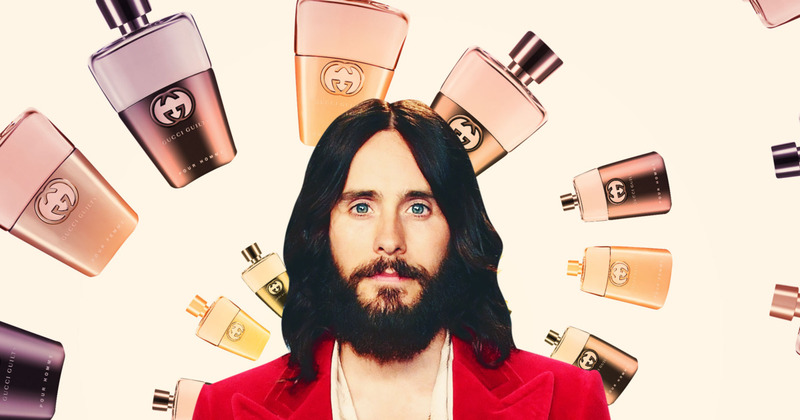 Earlier this month, Leto starred in Alessandro Michele’s new campaign for the fragrance with his Gucci Guilty Pour Femme counterpart Lana Del Rey. The Cut talked to Leto about Los Angeles, cupcakes, and being on tour. The smell of campfire and fire crackling. The smoke, burning embers. It’s pretty a primal and powerful one. I remember the smell of weed, as well — there were a lot of hippies around in my early days. I knew the smell of weed before I knew the smell of a lot of things. Sorry, I shouldn’t call it weed anymore, it is called cannabis. Nature. Pure, unadulterated, and beautiful. S’mores. Although burning marshmallows is not a great smell. Eating them is a little better. Every other day to me because I don’t really have weekends. I’ve been on tour for most of last year with 30 Seconds to Mars and Sunday is a Tuesday for us — it’s a great day to play concerts. When you’re on tour you really just lose track of days. It’s either a show day or it’s not a show day. And I like that part of it. Cupcakes. I don’t eat dairy, so I usually get vegan ones — I’ll take whatever flavor because they all pretty much taste the same. One of the first places that I went when I was a kid and moved out west was the Hollywood Forever Cemetery. I thought it was just a park until I turned the corner and saw the gravestones; I didn’t realize it was filled with such historic people and celebrated so many legendary actors, musicians, and filmmakers, and people in the business, as well. I would go there from time to time to be with my thoughts. Whenever I had an hour or two in between appointments, I would just meander through Hollywood Forever. It’s become a pretty important landmark here in L.A., as a place that celebrates lives of people past and art and culture, so it was really interesting to shoot there for this project. Anything that is made of soap.